The video for this story about Te Puea screened on Newshub on 24 April 2018. 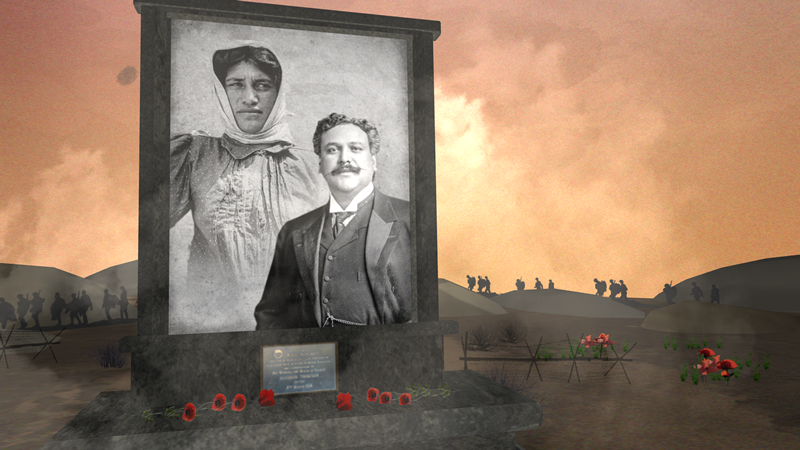 This is a story of two Māori leaders, Te Puea Hērangi from Waikato and Dr Māui Pōmare from Taranaki. They had opposing views about Māori participation in the First World War. Māui Pōmare chaired a committee to encourage Māori recruitment. When conscription was introduced in 1916 he supported its application to Māori. He argued that willingness to serve would demonstrate that Māori were ready to be accepted as full citizens. Te Puea drew on Tawhiao's words forbidding Waikato to take up arms again after he had finally made his peace with the Crown in 1881. She stood firm with those men who did not wish to fight a war that was not theirs, for an empire that had invaded and confiscated their lands. The government compounded Tainui’s feelings of injustice with a 1917 order for Māori conscription that applied only to the Waikato-Maniapoto land district. This incensed Te Puea, who had originally supported Pōmare as MP. She led the resistance from her base at Mangatāwhiri. The Māori men arrested for resisting conscription were imprisoned under harsh conditions. AC Productions filmed at the regatta on the Waikato River that has been held for 123 years. Labour MP Nanaia Mahuta was interviewed about the courageous stand against the Crown by her relative, Te Puea. Video: Produced and directed by Anna Cottrell, AC Productions for MediaWorks Newshub. Made with the support of NZ On Air. See full video credits here (pdf).